The Cruiser section was created 30 years ago to encourage Club events designed for cruising boats whether sail or motor. 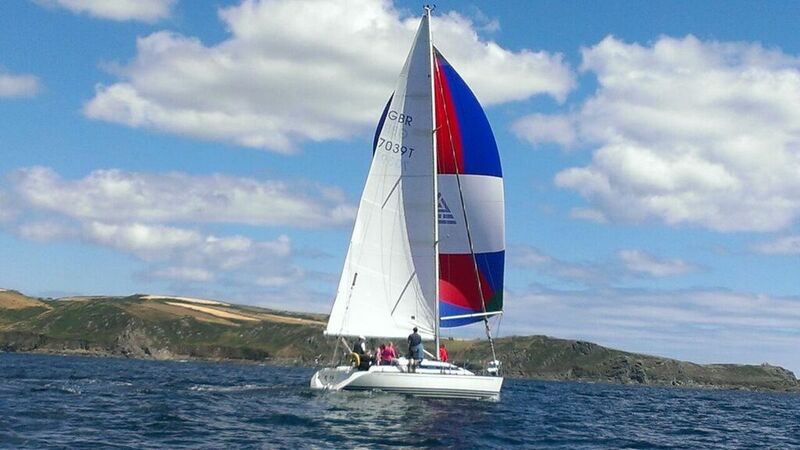 Yachtsmen in Salcombe are well catered for at SYC with a busy cruising and racing schedule. We welcome participation from both sailing and motor yachts, with a series of rallies held throughout the summer, usually involving 20-40 mile passages. The Rally Masters organise a pontoon drinks reception followed by a meal at the local yacht club or a restaurant. Each season we generally hold four of these short rallies and one longer one, usually across the Channel. Many of our members explore much further afield and there is a Club trophy for the log showing the longest cruise in one season. We also hold a series of around 12 Sunday morning races each year, out in the Range in Salcombe, with awards for winners of both IRC and NHC handicaps. These races are run on a very friendly basis and all are made to feel welcome, whether seasoned competition sailors or newcomers to yacht racing and we are always looking for keen crew members. All types of keelboats are welcome, including Shrimpers and Hawks. There can be no better way to spend a Sunday morning than some friendly Range racing followed by a get together on the Yacht Club terrace for lunch! We also organise passage races returning from rallies and compete in Inter-Club racing in the south west, a good way to meet up with other sailors and make new friends. Our annual Cruiser Regatta is 2 days of racing, with visiting yachtsmen from neighbouring clubs encouraged to join in, followed by a prize giving and supper. SYC yachtsmen (and women!) are an enthusiastic and sociable bunch and we have frequent get togethers in the Club, often with members recounting their recent adventures or with invited speakers on a host of topics.